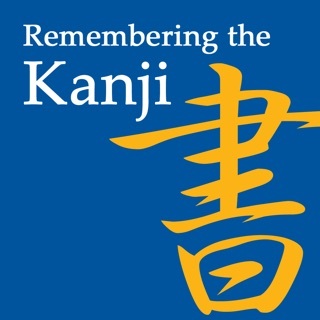 Firmly master the conjugation of Japanese verbs and adjectives! 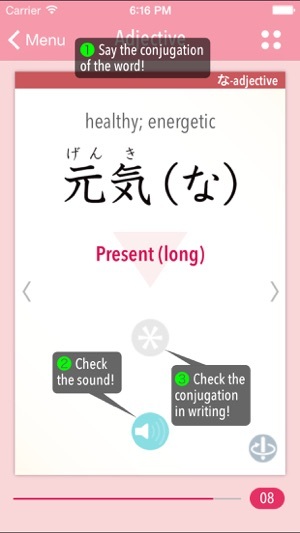 This app helps you to master the conjugation of elementary verbs and adjectives through practice at your own pace. 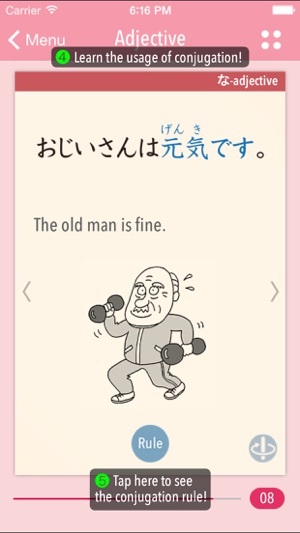 It marks the third official iPhone app for GENKI: An Integrated Course in Elementary Japanese, a best-selling series of Japanese learning materials boasting more than 1.2 million copies sold. •You can view the cards and listen to the recordings as you like, enabling you to study at your own pace. •The different conjugations are mastered through two types of practice: saying the conjugated forms aloud or typing them. 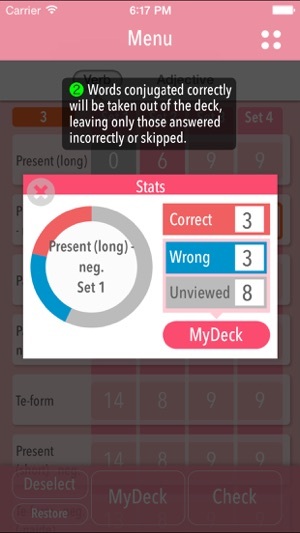 •As you go through each conjugation card deck, the cards answered correctly are automatically removed, allowing you to efficiently focus on the trickier words in the next round of practice. MyDeck: Practice each word by looking at the cards and repeatedly saying the conjugated forms aloud. (1) Each card has a word and the conjugation type to be practiced. Say the word in the conjugated form indicated. (2) Tap the sound icon to check whether you said the conjugated form correctly. (3) Tap the ＊ icon to check the conjugated form in writing. (4) Study the use of the conjugated form by referring to the example sentence and illustration on the back side of the card. (5) Tap the Rule icon to see the conjugation rule. (1) Type in the conjugated form as instructed. (2) If you entered the correct form, the card will be removed from MyDeck. Cards answered incorrectly or skipped will remain in the deck for further practice. *To study with the Check method, you will need to add a Japanese keyboard to your iPhone settings before starting. All conjugation forms of each word are listed in this feature, with the words arranged in a-i-u-e-o order. A check mark is displayed next to each conjugation form that has been mastered and the MyDeck card for each entry can be opened, allowing you to review the conjugations via the list. 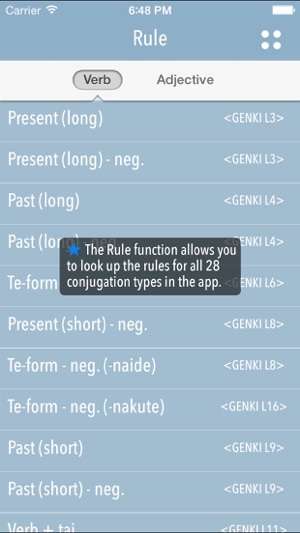 This feature lists the rules for all 28 conjugation types covered by the app, enabling you to quickly look up the way to form conjugations such as the passive, the causative, the causative passive, and the tricky te-form. Activating this mode will cause the app to display the MyDeck cards in random order, rather than the default order. Shuffling the deck will help you to more firmly master the material. 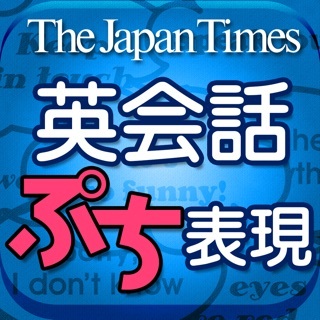 —This app is based on the second edition of GENKI. —Ads: The app does not display any ads that might interfere with learning.